According to local media, several banks in the country have faced a massive DDoS(Distributed Denial of Service) attacks over the past few days. The attack traffic came from several countries at the same time. As a result, bank websites were unavailable for a certain time. One of the affected bank is HomeBank. "The bank's specialists recorded yesterday a large-scale DDoS attack in the form of false requests simultaneously from a huge number of IP addresses that block the operation of the portal." The Homebank posted in the Qazkom's Facebook Page. "To ensure the protection of the site and your accounts, the bank's specialists take the necessary technical measures to neutralize the actions of hackers, therefore we apologize if there will be delays in conducting operations or the site will be temporarily unavailable." The Bank apologized for the inconvenience. Kaspi bank said that their servers and services are not affected by the attack. The bank said they are actively monitoring and working to prevent such attacks. Other Banks including HalykBank, People's Bank also claimed that their servers are not affected by this attack. Just a few days ago, the Committee of National Security of the Republic of Kazakhstan stated that Banks hide the information about hacker attacks to maintain the Bank's reputation. In 2017, six Banks have suffered a phishing attack, and only one of them asked KNB to help. 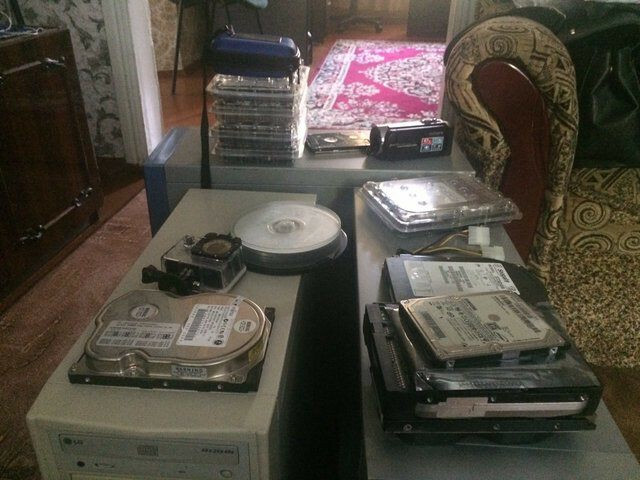 Ukrainian officers from cyber crime department have arrested a 51-year-old resident of Nikopol (Ukraine, Dnipropetrovsk region), who is suspected of spreading computer virus "Petya.A". Petya is a ransomware that infects the Master boot Record(MBR). If the malware successfully infectes the MBR, it will encrypt the whole hard drive. Otherwise, it encrypts all files. According to the local news report, the suspect published an online tutorial video explaining how to use the "Petya.A" malware to infect victim's computers. In the comments section, he also shared a link to social network on which he has uploaded the malware and distributed. The police have conducted a search at the residence of the suspect. They have seized the computer equipments and found malicious software which is similare to the "Petya.A". The malware is said to be infected more than 400 computers. Also a number of companies intentionally used this virus to conceal criminal activity and evasion from the payments of penalties to the state. In June 2017, ESet reported that large number of infections happened in the Ukraine. The affected Ukrainian industries includes financial sector, energy sector. By 2020 Russia will launch a national web-filtering system, intended to protect children from the negative and dangerous content. 1. Traffic filtering in educational institutions. 2. Traffic filtering by default for all users. With the second option users will be able to access unfiltered content, if they write a statement to provider or if they remove the checkbox in the account Settings. Nowadays the League of Secure Internet has a "white list" of websites. It has more than 1 million resources. Igor Ashmanov, IT businessman, thinks that the idea of "white lists" of websites is not viable. 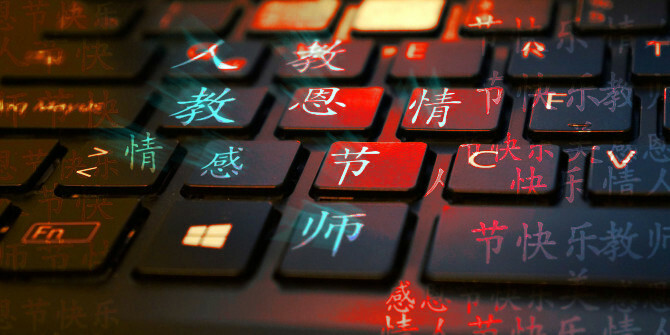 According to the expert, the system of "smart" operational filtering, which blocks prohibited content, is very important and necessary. "We support the idea of ​​restricting children's access to unwanted content and have been working in this direction for a long time", the official representative of "MegaFon" Julia Dorokhina said. The Telegram's founder Pavel Durov has agreed to register the company in Russia, after getting pressure from the local authorities. 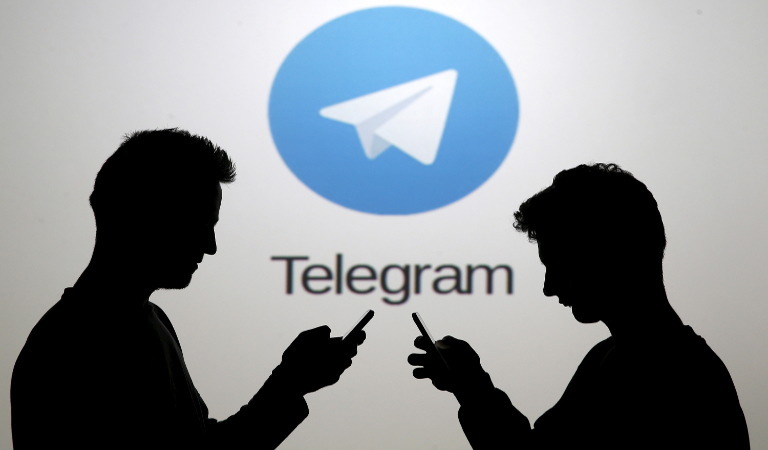 Few days ago, the Russian communications regulator Roskomnadzor has demanded Telegram to provide information about the messaging app and company details. The authorities also said this encrypted messaging app is being used by terrorists to plan attacks. The authorities asked to give access to decrypt messages in order to catch terrorists. Authorities threatened to ban the Telegram, if the company fails to do so. At first, Durov didn't agree with the demands. Now, he is agreed to register the company with the Russian government. "If the Telegram is banned in Russia, it will not happen because we refused to provide details about our company" Durov said in the social network VK. Roman Jelud, a Professor from dataVoronezh State University, shared his opinion to Regnum that news about "Telegram ban" itself is a PR stunt. This will only help the Telegram to gain more number of users. Few days back itself, Roman said that Durov is using this for his PR and eventually Durov is going to agree to provide the required five points of information. Though Durov says that they are only registering the company in Russia and will not share the users' secret data with the government, it will be hard to know whether it is true or not. Russia is not only the government that is interested in the Telegram messenger. Last week, Durov stated that US Federal officers want to add a backdoor to the app. Are enough safeguards built within BHIM? 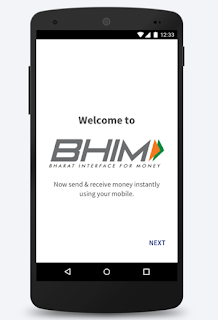 The BHIM application has an option to create a payment address(Virtual ID). It auto suggests a persons name+(value) as a many of the typical Indian Names are already taken. Example if a person called Vijay Kumar R is trying to create a personal payment address he will be suggested "vijaykumarr" . This is the primary identifier and during transfer it does not do any further checking. A simple mistake in the name might cause a catastrophe for the sender. If a person by mistake types in "vijaykumart" (instead of "vijaykumarr") the application will show the proper full name as "Vijay Kumar" and it is highly probable that a person would send the money to the wrong person as the name is matching. Since the BHIM application is mostly targeted towards "New Adopters" mostly from rural locations they might not be able to find the difference or spot a mistake on what they are typing. The application should ask for a secondary detail (Eg:Mobile Number,Bank Name etc) about a person and cross check it with the database and only process it if the details are matching. When it comes to NEFT and IMPS it has multilayer verification , even if the user gives a wrong inputs it will not send the amount if any of the details are incorrect. There is an option to refund the money back to the senders only on the receivers end. It does not have any option to raise a complaint on the senders side. Many of the banks are unable to get the money back if it is wrongly sent to another person. There is no option in the UPI ecosystem for such cases. How can this be ? Why did they not think about this? The same issue was faced by us when we sent about 9200 to the wrong ID. The bank (Axis) that we used could not get our money back, even though we made a compliant within few minutes. It was also not possible for us to track who it was sent to and request them to send it back. We recommend that people stick to the traditional NEFT and IMPS for any high value transactions as there is no support in the UPI system for raising issues during transactions. After Edward Snowden scooping incidence of National Security Agency (NSA), every country went frisk on spying. An Indian coder, Manish Kumar promised the President of Mauritania to help them build a mini-NSA like an electronic spying apparatus. Kumar, who owns a spying company Wolf Intelligence, met Ahmed Bah dit Hmeida, an official with the innocuous-sounding title of counselor to the president, made a deal to develop a sophisticated technology . The total contract was worth $2.5 million, and they transferred half a million dollars into BVI account of Wolf Intelligence(Manish Kumar) as a down payment. 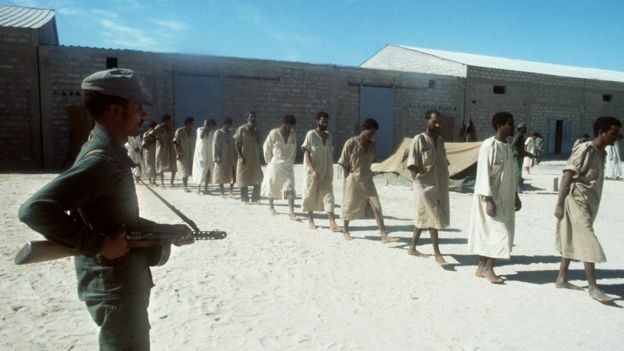 Mauritania is perhaps among one of the few countries in the world where slavery still exists, and known for spying against journalists, activists, and political opponents. Since 1960, it has seen 10 coups. Mauritania expected Wolf to develop a software that would allow them to attack and spy on multiple targets at a time over a large network. The network mainly include a nationwide mobile phone provider. 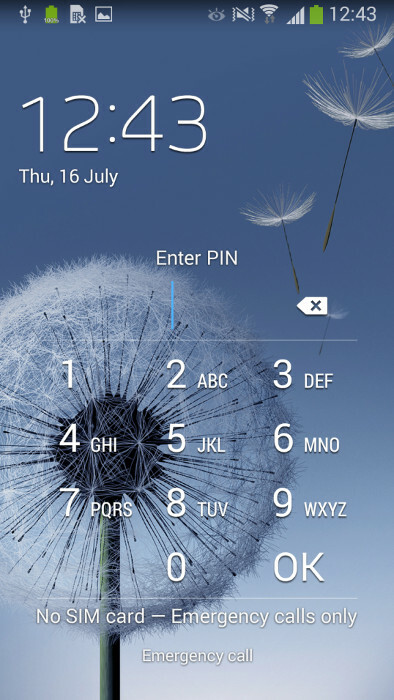 The promotional literature of Wolf promised to build a silent SMS attack technique that allows full control of someone’s smartphone without requiring the target to click on a link or otherwise interact. Mauritania targets individuals accused of terrorism, but occasionally they’re journalists or protesters, too. For this, Wolf needed a special team of coders who are capable of circumventing security measures on Apple smartphones. Kumar knew that hackers in Israel had developed it. However, it cost $1 million. That was only possible when Mauritania deliver its next payment. Bah had warned Kumar that if Wolf’s system wasn’t fully functional by the end of the visit, neither Kumar nor the technician he’d brought with him would be leaving the country. Uncertain of his intentions, Kumar joked he would need a vegetarian meal in Jail. Kumar tried his best to explain that he didn’t have the silent SMS exploit yet, but Bah didn’t believe him. After this Bah prevented Kumar and his colleague Nafees Ahmed from leaving Mauritania. But Kumar managed to flew to Europe. According to Kumar, Mauritania agreed to pay the remaining balance of $2 million if he would send someone to the country until the software was operational. An Israeli acquaintance helped Kumar by putting him in touch with Tel Aviv-based exploit broker named David “Dudi” Sternberg, who said he could provide what Kumar needed. The deal did not go through. And Kumar could not deliver the exploit. He had "Nafees Ahmed" leave the country saying that he is sick. But Replaced him with an Italian Bodyguard called " Cristian Provvisionato " and fooled the officials into believing that he was part of the company. But Cristian Provvisionato was only hired to come to the country as a "Bodygurad" and was not explained what he was getting himself into. Finally Kumar escaped the country leaving Cristian Provvisionato behind. The Officials arrested Cristian Provvisionato and charged him to cheating the government , he is still in jail for the last 14 months whereas Kumar and Ahmed roam free. They have completely abandoned him. -Cyber weapons are banned to be sold. Islamic Republic of Mauritania has poor human rights record and slavery still exist. These tools will be misused. Wolf intelligence is registered in Germany(Munich), CEO is Swiss named Martin Wyss. Germany and Swiss government should introspects if their soil is used for selling cyber surveillance technology/weapon technology to Islamic republic of Mauritania. - US Wassenaar_Arrangement prevents selling of surveillance/monitoring to countries. - India should investigate because both nafees ahmed and manish kumar are Indian citizen and have got 9.75 crore into bvi islands shell company. They are Indian citizens with Indian passport(with german visa, german registered companies). They can be investigated by Income tax/DRI/CBI for money laundering and moving money to tax havens for selling cyber weapon. - The silent SMS exploit kumar talks about to sell to islamic republic of Mauritania comes from israeli exploit broker. It is interesting to observe that Mauritania has severed all diplomatic ties with Israel. - The imprisonment of the Italian Nationa l" Cristian Provvisionato " due the actions of Kumar should be investigated. Hackers breached the website of a major pub chain JD Wetherspoon, operating in the UK and Ireland, in mid-June 2015.
rming them about the breach, the company also got to know about the breach on December 1. The database compromised includes the personal details of 656,723 people who signed up for newsletters, registered Wi-Fi users, and those who bought online vouchers between January 2009 and August 2014, or used the contact form on the company’s website. For customers who bought online vouchers, the last four digits of their payment card numbers had also been accessed. Whereas the company says that website never stored the sensitive information. The investigation is ongoing on , and the Information Commissioner’s Office (ICO) in the UK has been notified. Researchers from a virtual private network (VPN) provider, Perfect Privacy discovered a gaping hole which can expose the real IP-address of VPN users easily. The flaw, dubbed "Port Fail," affects VPN providers including those of BitTorrent users which offer port forwarding and have no protection against IP leaks. The issue, which affects all VPN protocols and operating systems, was uncovered after altering several affected competitors to the threat before making it public. 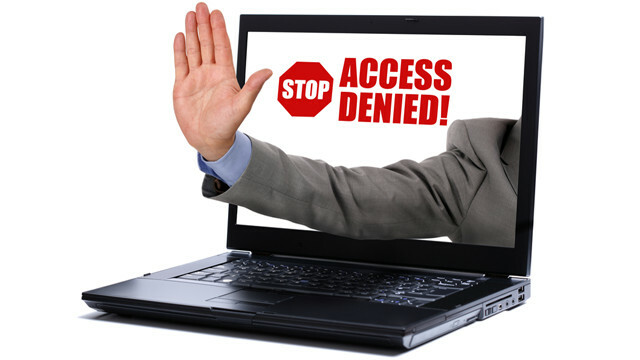 For the past several years, there has been a wider interest in usage of VPN to bypass censorship in countries with stringent internet access and to prefer anonymity with browsing, especially post-Snowden revelation. VPNs are used across the world by the privacy conscious people and to circumvent geolocation-based content restrictions by disguising the true location of a person. The aim of using a VPN is to hide an ISP IP-address, but the discovery showed that this can be easily bypassed on some providers by using a port forwarding trick. 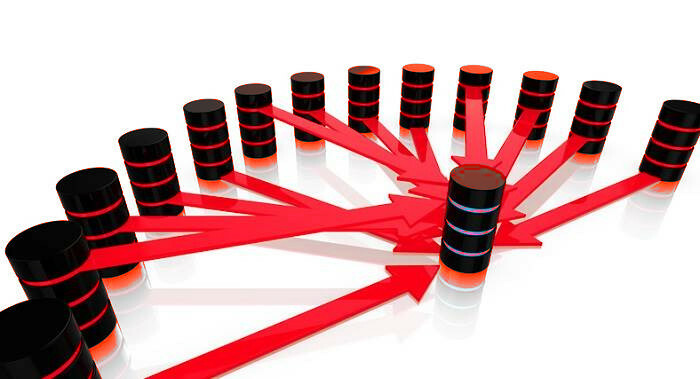 If the attacker uses the same VPN as the user, the IP-address can be exposed. Perfect privacy tested the vulnerability with nine VPN providers which offer port forwarding. Among them, five were vulnerable, including Private Internet Access (PIA), Ovpn.to and VPN, which were notified before public disclosure and have fixed the issue. PIA awarded Perfect Privacy $5,000 for the disclosure. A security researcher, Benjamin Kunz-Mejri discovered that ATM machines of German savings bank, ‘Sparkasse’ can leak sensitive information during software updates. Mejri who is a CEO and founder of Germany based security firm Vulnerability Lab, used the ATM of Sparkasse when the machine suddenly ejected his card, and changed its status to “temporarily not available.” The machine later showed details of an update process on the screen which was when Mejri realised that the terminal had become temporarily unavailable because it was performing a software update. For this attack, Mejri coined the term “timing attack”. Software updates are normally conducted in the background, but Mejri discovered, the progress and details of the update process can be made visible by interacting with the device as he did. The researcher found that a lot of sensitive data like bank’s main system branch usernames, serial numbers, firewall settings, network information, device IDs, ATM settings, and two system passwords was vulnerable to the hackers. During the whole process, the card reader remained available and usable for other operations. The ATM’s keyboard was also not disabled and the attacker could execute system commands via the available command prompt. The ATM’s analysed were manufactured by Wincor Nixdorf, a German company that manufactures, sells, installs and services retail and banking hardware and software. The affected ATMs and self-service terminals were running Windows 7 and Windows XP operating systems. According to the experts, a large scale attack can be coordinated by a criminal ring due to this vulnerability. An attacker who has a physical access to bank nework can use the information disclosed during the update process to run a man-in-the-middle (MitM) attack on the targeted bank’s local network. The attacker could push a bogus update to reconfigure the ATMs. The attacker could conduct fraudulent transactions by forcing the ATM crash and corrupt the logging or debugging mechanism. If fraudsters can determine the time and date of update schedules, they can conduct a larger, coordinated attack targeting multiple ATMs and self-service terminals as it takes 17 minutes to record all the information displayed on the screen. There is a possibility that apart from Sparkasse, other banks who use Wincor Nixdorf ATMs and self-service terminals might also be affected. The bank has already pushed out updates that fix the issue to a limited number of ATMs in German city of Kassel as a pilot project. The update will be installed in other regions after the test of new configuration becomes successful. It is the first time that a German bank has admitted the security vulnerability in an ATM and rewarded the researcher with undisclosed amount of money. Last week only, Berlin Police announced that they have been looking for a man who illegally withdrew cash from two ATMs using a USB stick that he connected to the devices after unscrewing their front panel. Here comes a time when companies are offering money to hackers who can provide a way of infecting the iPhones and iPads of individuals. Zerodium, a company that acquires exploits, has announced to pay $1 million USD to those that can provide a good enough iOS 9 jailbreak. 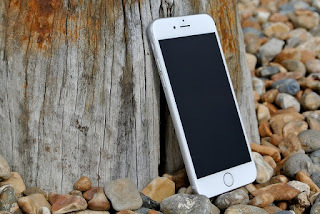 The company launched "The Million Dollar iOS 9 Bug Bounty" program which aimed to buy an "exclusive, browser-based, and untethered jailbreak" for Apple's latest mobile operating system. According to the post, the Million Dollar iOS 9 Bug Bounty is tailored for experienced security researchers, reverse engineers, and jailbreak developers, and is an offer made by ZERODIUM to pay out a total of three million U.S. dollars ($3,000,000.00) in rewards for iOS exploits/jailbreaks. 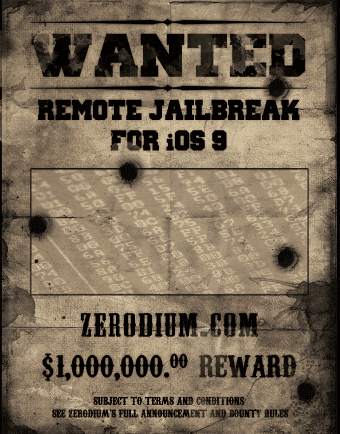 “ZERODIUM will pay out one million U.S. dollars ($1,000,000.00) to each individual or team who creates and submits to ZERODIUM an exclusive, browser-based, and untethered jailbreak for the latest Apple iOS 9 operating system and devices,” the company added. The company has given some rules which a hacker need to follow the jailbreak must be reliable, silent, and doesn't require any actions to be taken by the user, save for visiting a web page or reading a text/MMS message. Similarly, they must work on a wide range of Apple hardware, including the iPhone 6S and 6S Plus. The pair of phones doesn't go on sale until September 25, while the bounty program expires on October 31, giving people a little over a month to get their potential exploits working on the new phones. “Partial or incomplete exploits/jailbreaks will not be eligible for the Million Dollar iOS 9 Bug Bounty. ZERODIUM may, at its sole discretion, make a distinct offer to acquire such partial exploits. All submissions must be made exclusively to ZERODIUM and must include the fully functioning exploit and its source code (if any), and a detailed whitepaper describing all the zero-day vulnerabilities and techniques used in the jailbreak,” the post added. Researchers from Zimperium Mobile Security, a security firm, have discovered a bug dubbed Stagefright in Android mobile operating system which they said to be the “worst Android vulnerabilities” to the date. Though, the Google had patched the problem, millions of devices need to be updated. The flaw has affected nearly a billion devices. “These issues in Stagefright code critically expose 95% of Android devices, an estimated 950 million devices. Drake’s research, to be presented at Black Hat USA on August 5 and DEF CON 23 on August 7 found multiple remote code execution vulnerabilities that can be exploited using various methods, the worst of which requires no user-interaction,” a report posted in its blog. “Attackers only need your mobile number, using which they can remotely execute code via a specially crafted media file delivered via MMS. 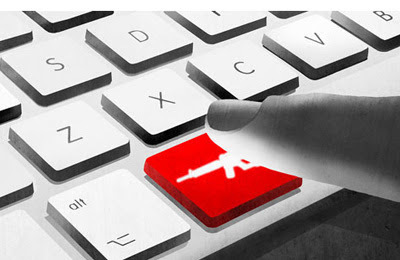 A fully weaponized successful attack could even delete the message before you see it. You will only see the notification. These vulnerabilities are extremely dangerous because they do not require that the victim take any action to be exploited,” the researchers wrote. Once the researchers had discovered the flaw, they reported it to the Google, which produced a patch to fix the problem. According to a report published in BBC, the Google said in statement that the vulnerability was identified in a laboratory setting on older Android devices, and as far as they know, no-one has been affected. "As part of a regularly scheduled security update, we plan to push further safeguards to Nexus devices starting next week. And, we'll be releasing it in open source when the details are made public by the researcher at Black Hat," the report read. When we think of a term ‘hacking’, computers, bank accounts and websites are the things which come in our mind. One can barely think of hacked vehicles. However, a recent case in which a car was hijacked by hackers has shown that the hackers have left nothing safe in our life. According to a report published on Wired, zero-day exploit for Chrysler vehicles allow hackers to control everything from the engine to the air-conditioning over the Internet, overriding the driver at the dashboard. It has been found out that the Uconnect software, which manages the vehicle’s entertainment and navigation systems, provides a Wi-Fi hotspot, and allows drivers to make phone calls. It is said that if anyone who knows the car's IP address can hijack the car. In the report, Andy Greenberg, senior writer, explained that he signed up to be a guinea pig for security researchers Charlie Miller and Chris Valasek. He was strapped into a Jeep and directed to head onto the highway. From 10 miles away, Miller and Valasek proceeded to hack into his car's software, toggling the windshield wipers, blasting the radio, and, eventually, cutting the transmission. “Immediately my accelerator stopped working. As I frantically pressed the pedal and watched the RPMs climb, the Jeep lost half its speed, then slowed to a crawl. This occurred just as I reached a long overpass, with no shoulder to offer an escape. The experiment had ceased to be fun,” Greenberg said. After that, the hackers successfully took over the jeep’s brakes as a result it went into a ditch. “Miller and Valasek’s full arsenal includes functions that at lower speeds fully kill the engine, abruptly engage the brakes, or disable them altogether. 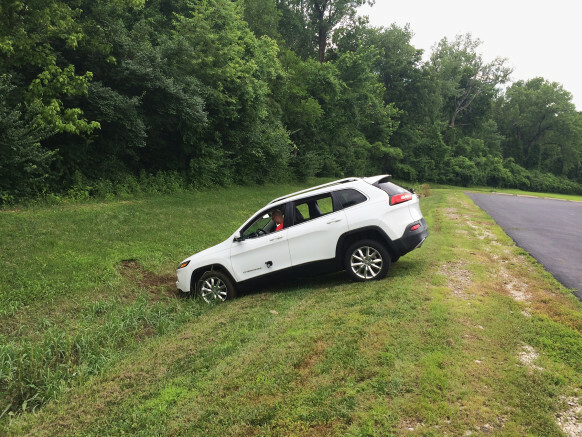 The most disturbing maneuver came when they cut the Jeep’s brakes, leaving me frantically pumping the pedal as the 2-ton SUV slid uncontrollably into a ditch. The researchers say they’re working on perfecting their steering control—for now they can only hijack the wheel when the Jeep is in reverse. Their hack enables surveillance too: They can track a targeted Jeep’s GPS coordinates, measure its speed, and even drop pins on a map to trace its route,” he explained. According to the news report, on Tuesday Senators Ed Markey (D-Massachusetts) and Richard Blumenthal (D-Connecticut) announced legislation that would ensure automobile companies to meet privacy measures to protect against cyber attacks. In order to prevent the car hacking, Miller and Valasek reported about the flaw in the vehicles to the company concerned, months ago. The Chrysler has come up with an updated version of the software however, the company has to manually download it and upgrade their cars through a USB drive. Consumer Value Stores (CVS), which is the second largest pharmacy chain after Walgreens in the United States with more than 7,600 stores, has temporarily taken down its online photo center CVSphoto.com after a hacking attack. “We have been made aware that customer credit card information collected by the independent vendor who manages and hosts CVSPhoto.com may have been compromised,” the company posted in its website’s homepage content. Brain Krbes pointed out in his blog that other companies already reporting similar data breach and took down their webpages related to the online photo service. Those online photo services have been maintained by a company called PNI Digital Media. Companies including Costco, Walmart Canada, Rite Aid displayed a message in their photo site informing about the security breach. However, Rite Ad said "PNI does not process credit card information on Rite Aid’s behalf and PNI has limited access to this information." The Consumer Value Stores said Financial transactions done on their main website CVS.com and in-store are not affected.